North Devon – Croyde, Saunton and Castrol Oil? Yesterday’s new swell picked up over night and was looking punchy at dawn. As the sun rose so did the winds. They were predominantly offshore but slightly from the South, which put an uneasy wonk on the water’s surface. 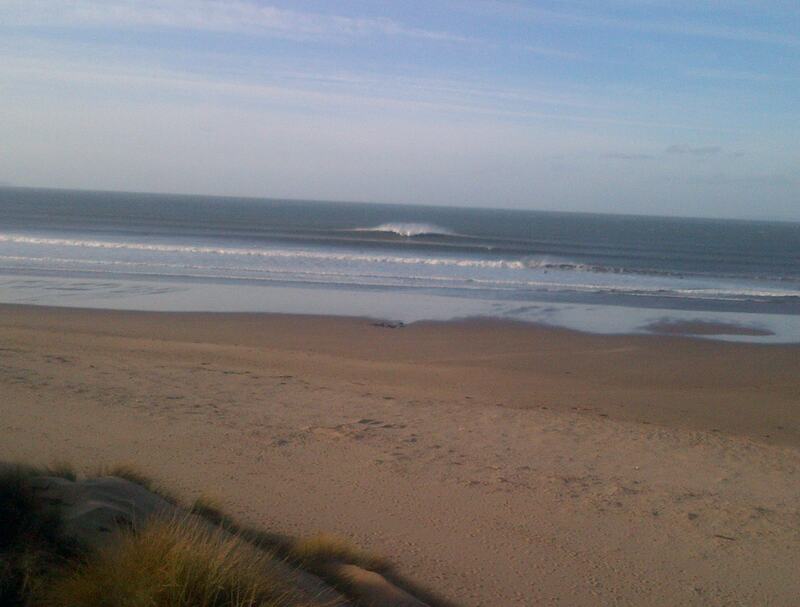 The howling offshore made it pretty much impossible to get in to anything, but still, a good days surf. 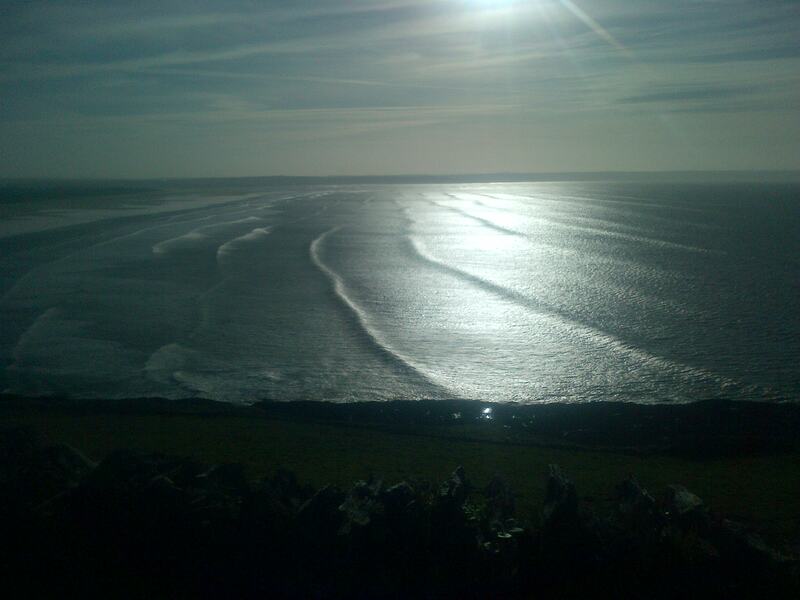 The winter sun was out in force, making it blinding to even look at the water’s surface. (Thank god for his invention of polarized sunnies 🙂 Is amazing to see how many people were in the water, even for January in the UK. As sea temps drop you would think the lineup would have thinned out slightly. Don’t get me wrong, it’s nothing compared to summer, but still, a good turn out for a chilly January day. Surfing has boomed and is booming, and will continue to do so. Low-tide, Croyde A-Frame coupled with 1000 Knot winds. As I was power walking down the beach (trying to stretch the ankle out) I came across a dirty circular character littering the Devonshire coastline. An oil drum! Of all things it’s hardly what you want rolling past you in the surf. 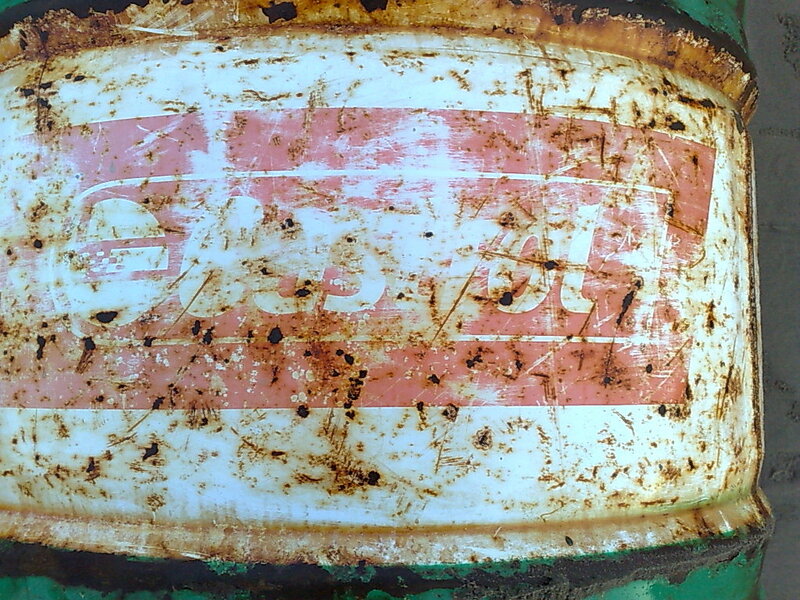 The owner had also wrote his name on it – Castrol. It makes you wonder where it came from, was it at one time full of oil? ( I hope not) Oil companies are irresponsible, as are the majority of people with money to burn. They participate in a bit of ‘window dressing’ – making their company seem like it’s concerned about the environment, and then go and litter the globes most precious resource; the sea. 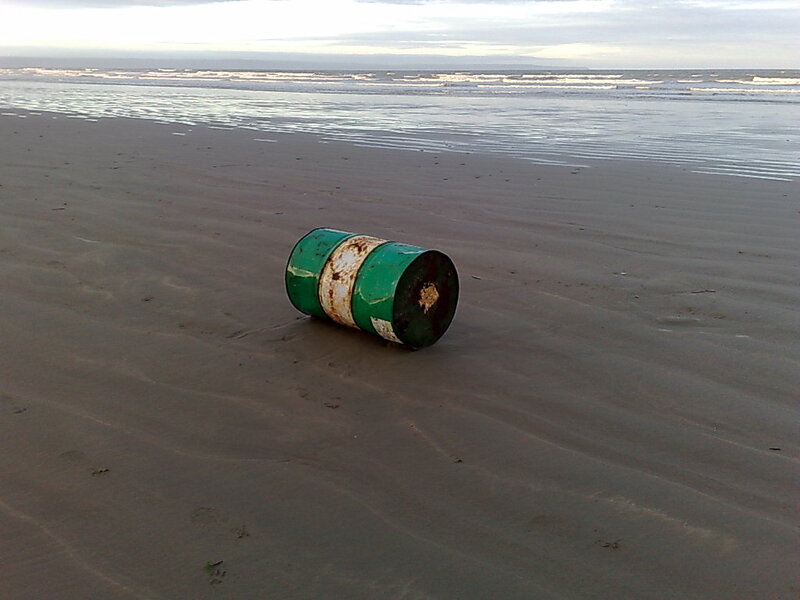 I don’t care whether it contained oil or not, it’s the simple fact of you don’t want to be seeing a Castrol oil drum on a beach. Shame on Castrol. 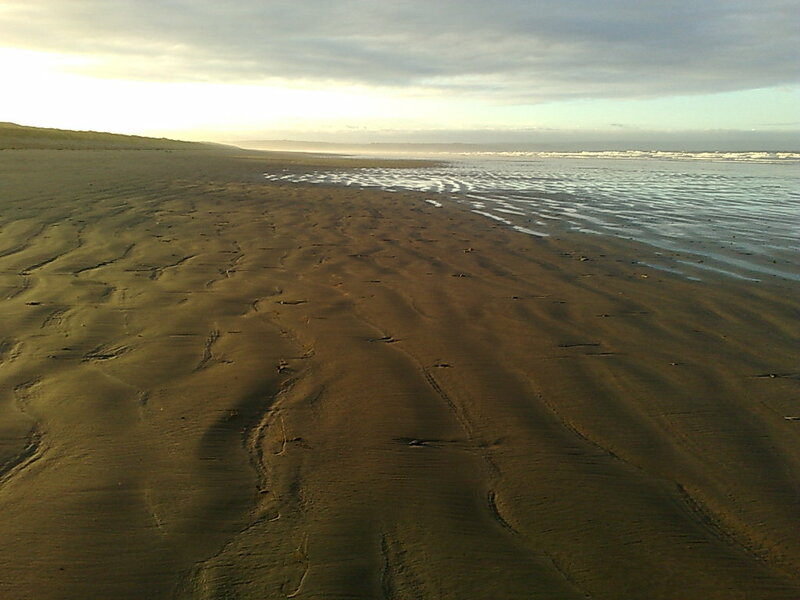 Anyway this is how a UK beach should appear; clean and basked in morning sunshine. An ASP Prime event located in Ballito, South Africa. The comp kicked off on Monday with some immense conditions. Over-head, dredging barrels rifled down the point breaking boards and ego’s. It also saw some of the worlds best surfers get slotted in some huge barrels. Stand out of the day had to be Kolohe Andino. The 17 year old got the barrel of his life and was justifiably rewarded with a perfect 10 point ride. Andino said “I’m on such high right now,” “These are some of the best waves I’ve surfed in my life!” . Kolohe is on a roll at the minute coming off a win at the Quiksilver USA surfing championships in Cali. Everyone has big dreams for this boy, keep your eyes pealed. The excelllent swell is set to continue. 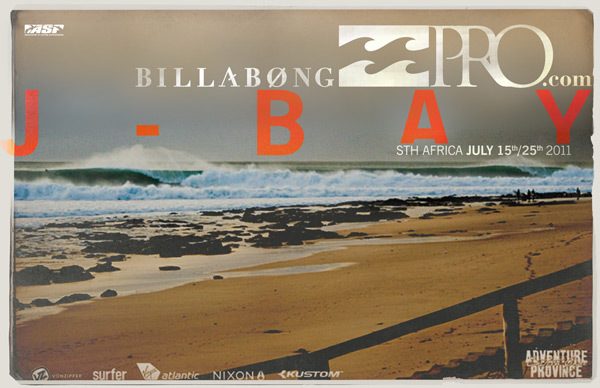 The entire surfing world will soon be setting up camp in South Africa as the ASP Billabong Pro at Jefferys bay kicks off next week. Who you got your money on, Slater, Jordy, Parko? Sooruz Lacanua Pro 2009. Almost!